Do you still remember last time I share this Kah Hiong Ngiu Chap? If you haven't try then sayang lah you should try once first! Now they have a new dish is "Beef Bak Kut Teh"
Wow... bruther I love it man!!! 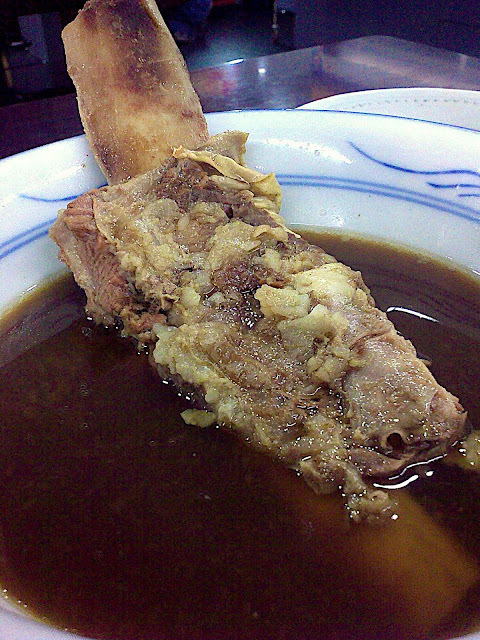 I never expected that Beef Bak Kut Teh can be that yummy! Three words I want to say saja "2 Thumbs Up"
FYI if you want to try it I suggest you come in morning coz is Limited Edition! Once finish you have to come back tomorrow! You also can choose to order the Ngiu Chap Beef Bah Kut Teh too is you don't want that such a big bowl which can serve two person! I think I personally like their new Beef Bak Kut Teh than their Ngiu Chap.... Tomorrow I'm sure my father want to try too!